Indiana PA asks- "How do you handcuff a one-armed man?" Paul: I am sooooo tired of people wanting to stereotype a one armed man! You think they have nothing else better to do than commit crimes? Listen, I know a one armed man, he is a good standing member of my community, and he refuses his handicap to change his day to day life. ﻿ I was talking to him while driving him to his support group to R.A.G.E. (Rick Allen Gathering of Extemitiy-less) and we chat about the everyday nightmare he faces only having one arm. They are just like us really, just that they can't clap at sporting events, shoot a bow and arrow, swim in a straight line, or perform some complicated surgical procedures. He tells me how people expect them to use their feet all the time to overcome their handicap, but you can't expect a grown man to cut a steak with his feet. 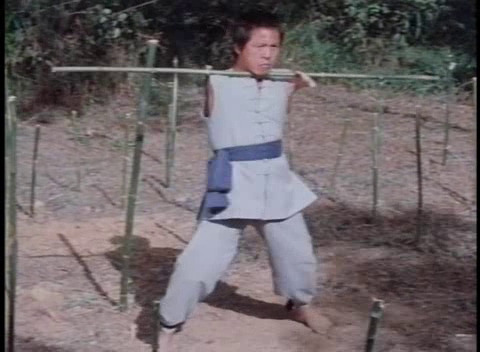 One-armed people are to be treated with respect, and humility. I will not dignify this question with an answer, as I feel one-armed men AND women should be able to roam free with their own kind peacefully without ridicule and people wanting to arrest them. Ian: As a deputy advisor on the advisory board for the One Arm Task Force, I strongly advise anyone attempting to apprehend a one-armed man to exercise extreme excessive force. Pittsburgh, PA asks - "If you could pick your top 3 "man, it would be awesome to have that job", what would they be...and dont make it about money." 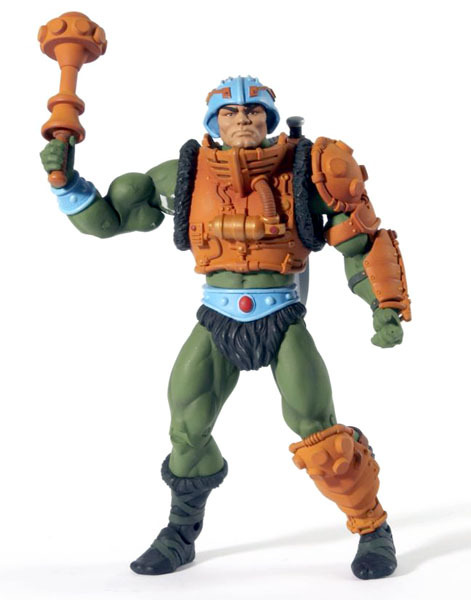 Although, I would have been 12 around the peak of Hammer's fame, being apart of his posse was not only profitable, but incredibly fun. Traveling around the world, and getting paid 6 figures sounds like the perfect job for me; one that requires no effort but affords me the freedom to do what I want. Plus I figure I would have met Boyz 2 Men, Vanilla Ice, and possibly a member from Jodeci during my time with his posse. What appeals to me is that you are instantly a part of sports history, being there up close with some of the greatest athletes on the planet, and the excitement of the crowd would just get my blood pumping. The plus side is that it seems that you don't have to be aware of anything. You can turn a blind eye to illegality, and when you get touched by anyone you can take a nice 10-15 minute nap having to recollection of anything that happened previously to that. Seems pretty easy job where you only need to count to 3, if you get confronted you fall down and turtle, and if you feel assertive you are the boss and your word is above all. 3. NHL Penalty Box Attendant: After a huge penalty, wouldn't you love just to look the guy in the eye, and tell him "you know, you fucked up". You would inevitably meet all the NHL players during your career, and the only thing you would need to do is count down from 2, 4, 5, or 10 open the door and earn a paycheck. Ian: First, I'd like to work for the U.S. Mint. I'd get to have complete control over inflation and devaluation. Man, it would be awesome to have that job. Second, I would like to be the Monopoly banker. Seriously, guys, I know last time, I threw the bank out the window and kicked over the board and said I hated you all because you're a bunch of cheaters, but I swear this time it'll be different. Man it would be awesome to have that job. Third, I'd like to be MC Hammer's accountant. Talk about getting paid to do nothing! Ha! Man it would be awesome to have that job. Clare F. Pittsburgh PA asks - "Why are YOU so persistent?" Paul: You know I've heard that a few times in my life from different people. I think the explanation stems from a deep seeded ..... eh, I'm bored - nevermind. Vanessa S. Ambler, PA asks - "what is thundersnow?" Paul: The year was 1993 and "Informer" was enjoying it's 7th week at #1 on the Billboard charts, and Canadian rapper Snow was cashing in hand over fist. 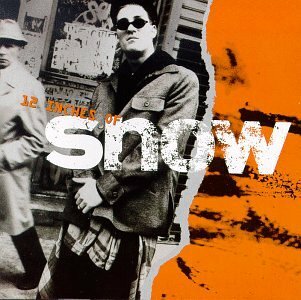 His album, "12 Inches of Snow" was platinum in the US and triple platinum in Canada, and life was good for Snow. In early 1994 after a length tour of the US, and Canada; Snow was approached by the Pepsi corporation. Pepsi was fresh after the commercial failure of Crystal Pepsi, and they were looking for something else insane to sink their limitless money into. After years of testing and focus groups they determined that the energy drink was the going to be the future of the beverage industry. 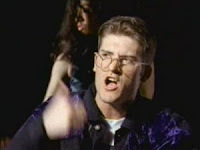 They approached Snow with the idea to be the figurehead of the then unnamed energy drink campaign to which he replied, "Word ..." On the assumption that it meant yes, and his agent accepting the multi-million dollar endorsement from PepsiCo proceeded with the drink being branded "Thundersnow". 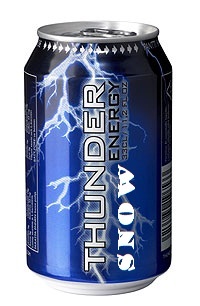 Thundersnow the first energy drink ever introduced by a major US beverage company. It's flavor has been described as predominately fruity, with a hint of spice and a touch of the key ingredient guaraná. It was marketed as a "high-energy drink" with guaraná and caffeine. In full production and ready to ship, Thundersnow was 3 months away from launch. Pepsi Co. was ready to film a commercial with the Canadian MC. Snow was no where to be found. Director, Bob Giraldi, (who's previous claim to fame was setting Michael Jackson on fire in 1984, and ironically working on MJ's HIStory video collection) was furious! They contacted Snow, and Snow's representatives numerous times with no answer. The production was shut down that same day with the Pepsi Co. having a tough decision ahead of them. Sending Snow's attorney a breach of contract subpoena, the deal between Pepsi and Snow was finished. The drink was later re-branded as Josta, and enjoyed mild success for a little under a decade. Snow seemed unfazed by the bad publicity thinking, he could carry himself with his music for the rest of his career. Years later during a sit down interview with Purplesky Magazine he was asked by a Japanese reporter about the deal with Pepsi and Snow. Snow called the whole situation "wack," leaving the rest for interpretation.